Team color and seasonal theme spirit jewelry and sport novelty displays. 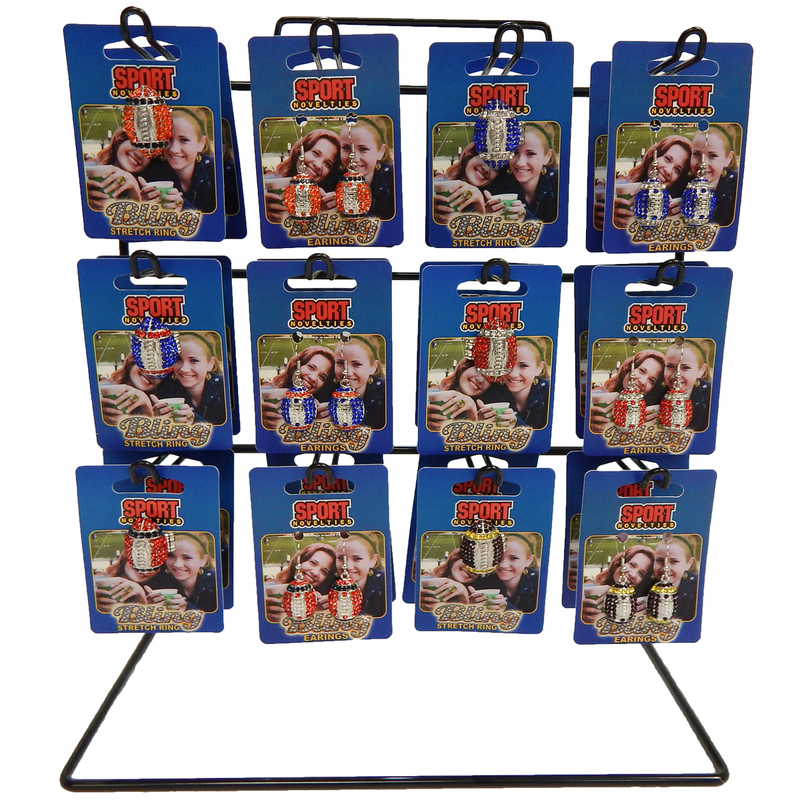 IMC Sport Novelties has developed pre-assorted displays for our Spirit Jewelry, Sport and Seasonal Novelties. Improve impulse item sales with team color or seasonal themed merchandise. Sturdy power wing display contains merchandise selected for optimal game day sell through. We do custom assortments too!